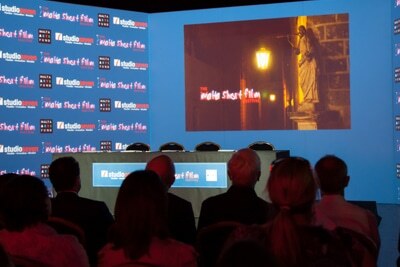 Produced by the newly established Malta Film Foundation, which has been set up by the producers of the festival, Tony Parnis and Joyce Grech, this year’s festival is supported by The Malta Arts Fund and Studioseven. This support will help to enhance the visual quality of the festival which has already reached high standards and praise in terms of content. Every year the festival has had very encouraging viewer statistics and has also been the recipient of the TV award for Best Cultural Programme. The films and discussion that follows have succeeded in attracting new audiences to the short film genre. Themes of the films vary from human stories, fantasy, documentaries, animation, comedy and even horror and mystery. Films are either in English or subtitled in English. The preliminary phase has already been concluded. The producers received 130 films out of which 41 will be shown during the first 12 programmes culminating in the final award ceremony during which the films will be vying for the coveted trophies in various categories including Best Editing, Script, Production Design, Animation, Documentary, Sound, Viewers’ Choice and the top trophy Best Picture. There will be 22 participating countries, out of which 14 are European countries and 8 are non-European, with many countries making it for the first time to the official selection. 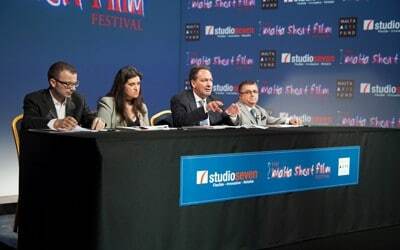 Malta will be represented with 9 films with a number of new participants. This year the festival welcomes presenter Frederick Attard, who has presented programmes such as Filghodu Kmieni, Kelmtejn bejn tnejn, Ara Sibtuna(One TV), and HealthNews (One TV/Favourite Channel). The voting process will be held in studio by the judges while certain awards will based on the public’s vote. Voting is open via SMS to clients of GO u Vodafone. Members of the public must write the name of their favourite film and send the message to the number 50615050. International voters will be able to vote by sending an email with the name of the film to [email protected] or via You Tube. The production team would also like to thank the Editorial Board and Management of PBS Ltd and Media DeskMalta who will also be supporting the festival. Studioseven is powered by a vast inventory of audiovisual equipment ranging from Professional Digital Sound Systems, 3D HD Data Projectors with 20,000 lumens of power each, multiple Projection Screens, LED Lighting Technology, Digital Stereo Simultaneous Interpretation facilities up to 32 languages, 4 Television studios, Filming and/or broadcasting transmissions of live events including satellite uplinks to name a few. It also provides print media graphics artworks such as logo designs, leaflets, posters, signage, brochures, booklets and more. Studioseven has access to some of the most prestigious hotels as well as historic or landmark buildings/venues that can be used for that special event, some of which are over 500 years old. Whatever your project may be, Studioseven can cater for Conferences, Meetings & Events hosting up to 5,000 people. The Malta Arts Fund is the funding mechanism of the Malta Council for Culture and the Arts (MCCA) with a total allocation of €430,000. The Fund is meant to provide a stimulus for investment in local artists and their work. It aims to support artists and arts organisations in fulfilling and realising their potential and in improving their skills and level of professionalism. The Malta Arts Fund contributes towards the strengthening of artistic practice and cultural development both in Malta and internationally.